Evolutionists say that evolution is a fact because it is testable (i.e. there is empirical evidence). They seem to be very positive with that ‘evidence’? What are they testing that’s confirming their belief in evolution? 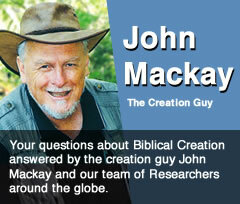 What are the evolutionists testing? The answer will surprise most people. Never forget that evolution is a process that is claimed to have occurred over vast amounts of time, as in hydrogen turning into molecules, turning into life, turning into cells, turning into amphibians, turning into professors who tell students about it. It should therefore be obvious that no one is testing any process over such time spans, let alone observing it, or making it happen. When I was a student at University I took up Genetics to find out how living things work, but our professor was the first to admit that: a) the geneticists didn’t know how evolution happened, b) the evidence was not observed in genetics, and c) he believed in evolution because the geologists had the fossils to show it had happened. But as a geology student I had a paleo professor who had also been the first to concede that there wasn’t any evidence in geology, so he believed in evolution because of the expertise of other scientists such as geneticist and organic chemists. In other words, if anybody did bother to test anything they were experts in, they always found that there was no evidence in their own specialisation. So to bluntly and politically incorrectly answer your question,’ what are they testing?’ The answer is Nothing! What they are doing with the theory however is imposing it on the evidence and using it to explain everything without testing anything. At the worst level, this applies to organs like the appendix, which when people thought it did nothing, it was explained by saying it used to do something when we were apes and monkeys, and now it has ceased having any use. This then this was used as proof we came from apes and monkeys since we wouldn’t evolve a useless organ. However, since that time it has been discovered that the appendix has many functions, including the acting as a safe house for useful bacteria, so they can re-populate the gut after episodes of illness or diarrhoea. Likewise with fossils: As a world traveller who has dug up fossils all around the planet, as well as debated some of the world’s experts in evolution, I haven’t come across one yet who has argued from their own paleontological expertise that their special fossil finds proves anything. The reason is simple: evolution is always imposed on the fossil evidence. It is never derived from the data at all … ever! Supposed missing links, when found, are called intermediates simply because evolutionists already have a picture in their head of how two differing fossils are related on a family tree, so they simply stick the new fossil in between and claim it as proof that a evolved into c since we now have b. In fact it’s time for everyone to admit, fossils can never be used to prove one living thing was transformed into a different living thing, because fossils are dead and buried and doing nothing. Evolutionary transformation is an active process and can only be proven by observing it happen in living creatures, and that has never been done. Not even with bacteria which reproduce at an incredible rate, and should show the type of change that could occur over millions of generations. But they don’t! Arranging fossils in a sequence according to how much some creatures are alike or not alike does not prove that each fossil in the sequence changed from the previous one and then into the next one. The sequence is purely in the minds of the evolutionists. In other words evolution is the best sold non-science in the history of the world, and it needs to be continually exposed as such – not just non-science, but nonsense, and the biggest example of Fake Science there is. BACTERIA EVOLUTION: Lenski’s E coli experiment. Has it shown bacteria can evolve new information? Answer here. Browse the topic Evolution here. For more on Darwin’s theory and how it fails the test see the DVDs Darwin on the Rocks, Darwin’s Evolution: a very unnatural selection, and Time’s Up, Darwin. Available from Creation Research webshop here.